The Home Builders Association of Greater Chattanooga will host its 2017 Showcase of Homes Oct. 13-15 and Oct. 20-22. The event, presented by EPB Fiber Optics, will feature 10 builders and 18 homes throughout Chattanooga and Hamilton County. Hours will be 10 a.m.-6 p.m. on Fridays and Saturdays and 1-6 p.m. on Sundays. According to HBAGC President Mike Croxall, the 2017 Showcase of Homes will provide a variety of options for those looking to build a new home or considering remodeling an existing residence. “There will be Showcase homes that range from $290,000 up to more than $650,000,” Croxall says. “This is a great opportunity for anyone looking to build a new home or remodel an existing space such as a kitchen, master suite or primary living area. There is no charge to visit the different homes. The addition of a Showcase of Homes mobile app will make it easier for those driving to the various addresses. 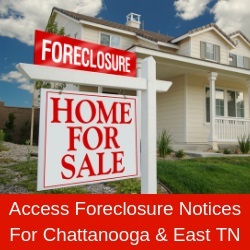 The homes are located near Lookout Mountain, Soddy Daisy, Hixson, Southside, North Chattanooga, Ooltewah and Apison. By downloading the mobile app – Parade Craze – Showcase visitors can access directions, pictures, floor plans, amenities and more for each individual home. Participating builders in HBAGC’s 2017 Showcase of Homes include BP Construction; Collier Construction; GreenTech Homes; GT Issa Construction; Michael’s Homes; Nu-Era Construction; Pratt Home Builders; Rowland Development Group; Trust Homes; and Waters-Holland Residential Home Builders. Visitors to the different Showcase homes can participate in a “Magic Card” game that uses a bingo-type card with all 18 home locations. Agents at the individual homes can affix a sticker on the specific home’s square. Those who gather 15 or more stickers can mail or deliver the cards to HBAGC by Nov. 1 to become eligible for a prize drawing. Prizes include a gas grill donated by Lowe’s, a $250 gift card from Indian Motorcycle, gift cards to local restaurants and more. For more information, contact HBAGC at (423) 624-9992, go to www.hbagc.net and click on the “Showcase of Homes” tab, or download the Parade Craze mobile app.